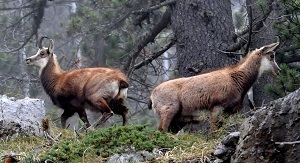 Within the plateau, emblematic mammals of the Pindos range such as the bear (Ursus arctos) have a permanent presence in the region, and even wild goats (Rupicapra rupicapra) have been found in rocky areas of the nearby Stouros mountain, just a short distance from the village of Elafotopos. Furthermore, wolf (Canis lupus), deer (Capreolus capreolus), wild boar (Sus scrofa) and wildcat (Felis sylvestris) are regularly found here. Circumstantial references document the occasional appearance of the Balkan Lynx (Lynx lynx martinoi), one of the rarest mammals in Europe. The variety of avifauna species is remarkable: 187 species have been historically recorded throughout the National Park region of North Pindos. 143 are identified in the plateau, in an area that constitutes probably less than 2 % of the National Park. 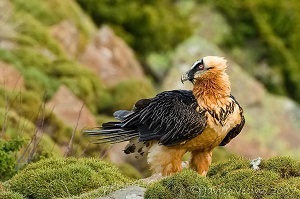 Raptors, such as the peregrine falcon (Falco peregrinus), the fastest falcon in the world and the short-toed eagle (Circaetus gallicus) which has a highly specific diet, are the most emblematic species of the region. 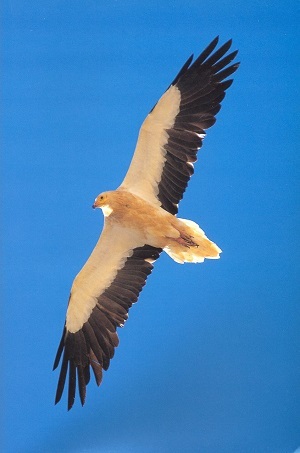 The globally threatened Egyptian vulture (Neophron percnopterus) feeds on carrion and on the two turtle species of the region (Testudo hermanii and T. marginata). This species nested in the neighboring gorge of Vikos until 2008 seeking food in the meadows of the plateau. Additional species of agro-ecosystems, such as shrikes (Lanius spp.) are lurking in the bushes seeking locusts. White storks (Ciconia ciconia) feed during the summer in the reaped meadows. while the globally threatened lesser kestrel (Falco naumanni) visits the plateaux during spring and autumn migration. 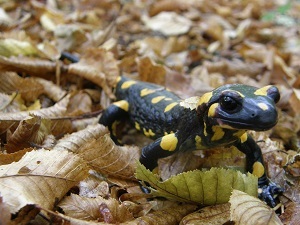 The herpetofauna of ​​Zagori area includes 13 amphibian and 28 reptile species and is considered among the richest in Greece. This is supported by both the considerable diversity of habitats and the microclimatic characteristics of the area. Here, one can find Alpine newts (Ichthyosaura alpestris), in high altitude ponds, as well as fire salamanders (Salamandra salamandra) in moist, mostly deciduous forests. Numerous ponds and channels on the plateau serve as breeding spots of both the smooth (Lissotriton vulgaris) and the Macedonian newt (Triturus macedonicus), the common tree frog (Hyla arborea), as well as the common (Bufo spinosus) and green toad (Pseudepidalea viridis). Finally, the Greek brown frog (Rana graeca) and the yellow-bellied toad (Bombina variegata) can be found in permanent and seasonal streams. Concerning reptiles, typical species of the area are the Dalmatian Algyroides (Algyroides nigropunctatus - also known as the Blue-throated keeled lizard), which is found both inside and outside residential areas, dry stone walls and shady stands of trees, as well as the slow worm (Anguis graeca) in similar habitats. Among snakes, the four-lined snake (Elaphe quatuorlineatta), the Aesculapian snake (Zamenis longissimus), the Balkan (Hierophis gemonensis) and the Caspian (Dolichophis caspius) Whip Snakes, the Leopard snake (Zamenis situla) and the nose-horned viper (Vipera ammodytes), are present in the area. 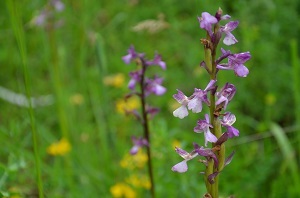 The area of the Vikos –Aoos National Park is characterized by rich floristic diversity. Recent studies show that in Tymfi mountain alone occur more than 1,750 plant species and subspecies, while systematic records are showing that the region is one of the most important areas of the Greek and Balkan flora. A quarter of the 202 recorded genera (taxa) are identified as highly important because of endemism. 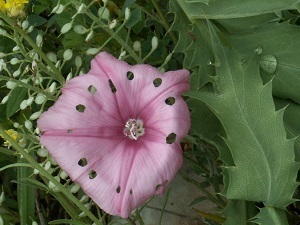 Five of these are found exclusively in this area, while others are endemic in Greece or Balkans and are limited distributed in Greece, protected by national or international laws or directives. The region of the National Park is characterized by large variety of habitats and vegetation. Going from lower altitudes to the mountain peaks someone can find species that are also along the coast of the mainland such as the holm oak (Quercus ilex), the Greek strawberry tree (Arbutus andrachne) and the turpentine tree (Pistacia terebinthus). In higher areas (700-1100 m.) are growing evergreen or deciduous oak ecosystems (Quercus spp.). At higher altitudes (1000-1600 m.) are found the rare beech forest (Fagus silvatica), fir (Abies borisii regis) and mainly black pine (Pinus nigra). Even higher (over 1,600 meters), exists the Bosnian pine (Pinus heldrechii) which grows at the treeline, above which the extremely unfavorable climatic conditions do not allow the development of other forest species. Along the streams extremely riparian ecosystems are created where the oriental plane (Platanus orientalis) is the dominant species, mixed with alders (Alnus glutinosa) and willow (Salix spp. ).